Just strolling in the Memorial Park one sunny Sunday afternoon, when we came across a small group filming for the Great Railway Journey series. 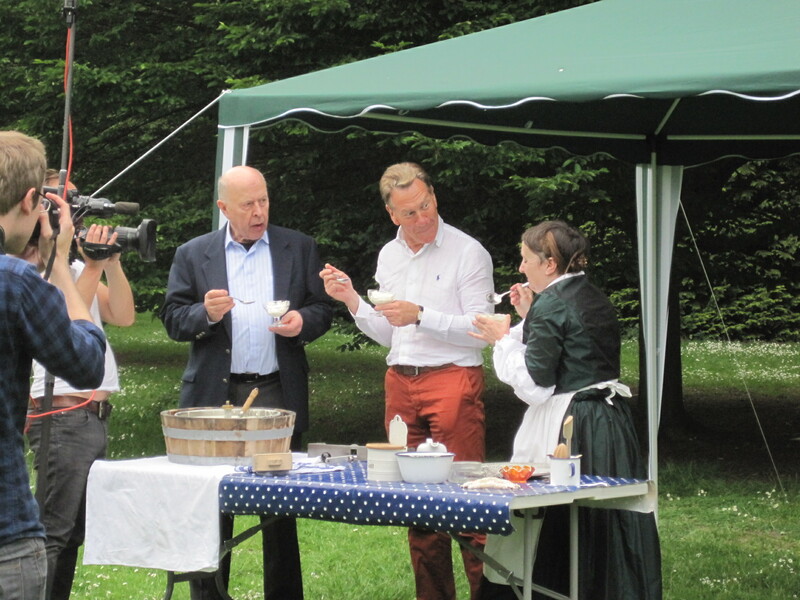 There was Mrs Marshall, the famous 19th Century cook, instructing Michael Portillo in the intricacies of making cucumber ice cream, which we were invited to sample and very cooling it turned out to be. All managed without the usual procession of buses, caravans and trailers normally associated with any TV filming in Pinner.